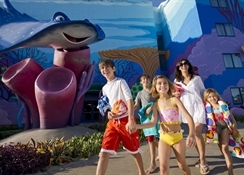 Set within Walt Disney World, Disney's Art of Animation Resort offers a truly unique experience that is perfectly suited to a family vacation with the kids. The all-round magical vibe to this location and with its close proximity to all the major attractions in Orlando means that your stay here will be an enchanted one. Each room tells a story with its design inspired by some of the biggest Disney creations from The Little Mermaid to The Lion King and the 3 theme pools, dining options and pet friendly accommodation means that no-one needs to miss out. 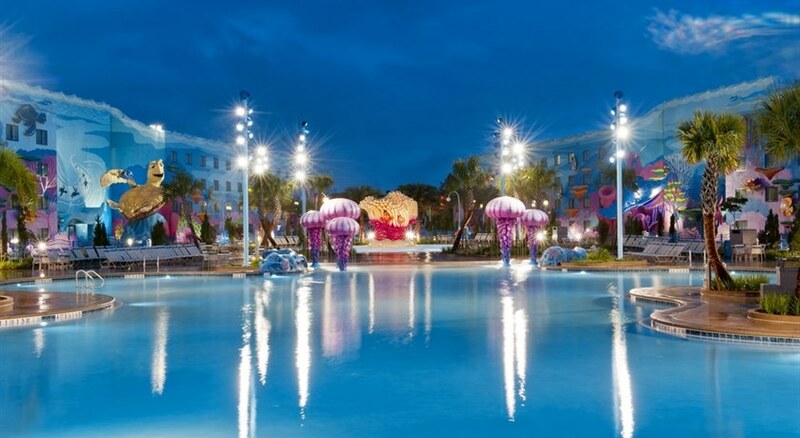 There is an airport shuttle service and guests can keep active at the Disney's Art of Animation Resort with the range of activities on offer including jogging trails, outdoor cinemas and access to theme parks. 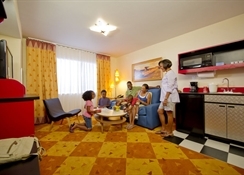 Disney's Art of Animation Resort is set within Disney’s World Resort which is one of the main attractions in Orlando Florida and is just a few minutes’ walk. You won’t be far from many of the other tourist spots either so this serves as a great base to explore Orlando. This includes Universal Studios (12 miles), SeaWorld (8.4 miles) and Florida Mall (14 miles). Disney’s Lake Buena Vista Golf Course and Falcon’s Fire Golf Course is only 4 miles away too. 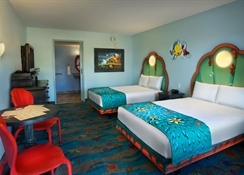 There are 1984 rooms at the Disney's Art of Animation Resort. They are all decorated in the theme of Disney movies such as The Little Mermaid Standard Room, The Lion King Suite, Finding Nemo Suite and Cars Family Suite. They can sleep between 4 and 6 guests and provide free WiFi, flat screen TV, air conditioning, ironing facilities and a kitchenette. 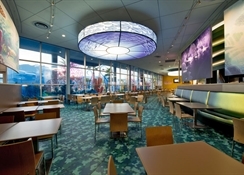 The Landscape of Flavours has 4 Disney theme dining areas and the restaurant provides a range of international dishes and is open for breakfast, lunch and dinner while children specific meals too. 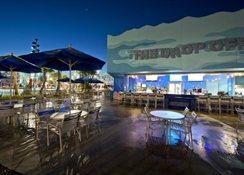 The Drop Off Pool Bar offers light snacks and drinks and there is also a pizza delivery service as well. 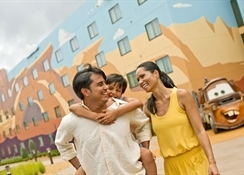 Staying at the Disney's Art of Animation Resort provides great access to Walt Disney World. This includes FastPass+ access to attractions and shows, extended theme park hours and more. The hotel features 3 outdoor pools and an arcade room while you can hop on the free bus which takes you around the resort. The other main theme parks in Orlando are not far away either and there are numerous shopping opportunities and Falcon’s Fire Golf Course nearby to the property too.